Имаме удоволствието да Ви поканим на нашата среща през месец ноември. Ако желаете да се присъедините, моля, потвърдете вашето присъствие на partners@ceoclub.bg или +359 888 18 3883. Как да инвестираме парите си? 2. Как да инвестираме парите си? c. “искам фактура на входа”: + 5 лв. 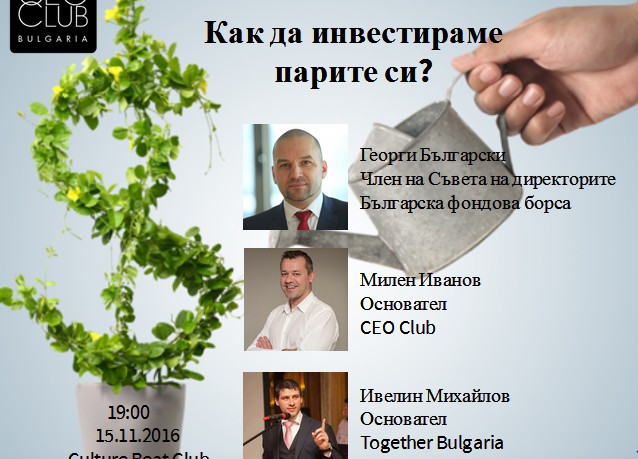 CEO CLUB BULGARIA предлага на своите гости и членове възможността безплатно да промотират своя бизнес чрез включване с подаръци в нашата безплатна томбола. София – Милена Димитрова на partners@ceoclub.bg или +359 888 18 3883. We have the pleasure to invite you to our November meeting in Sofia. 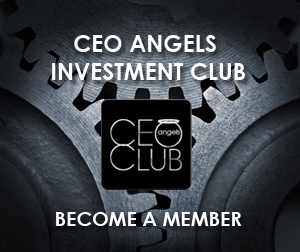 If you want to join us, please confirm your presence on partners@ceoclub.bg or +359 888 18 3883. How to invest our money? 2. How to invest our money? 2. Paid before the event via bank transfer (invoice is issued) – 15 lv. a. members – 20 lv. b. guests – 25 lv. * Please note that the entrance fee does not include any food and beverages. You can order such at the bar during the cocktail. ** If you would like a company invoice, please send us the data BEFORE the event with the payment slip, NOT on the door where it is difficult to pay attention on this.. If you are interested in presentations, participations in the raffle with prizes to advertise your business or other promotional options, or how to get a card or need any kind of information, please contact us. Sofia – Milena Dimitrova at partners@ceoclub.bg or +359 888 18 3883.